This is my fursona, i suppose. 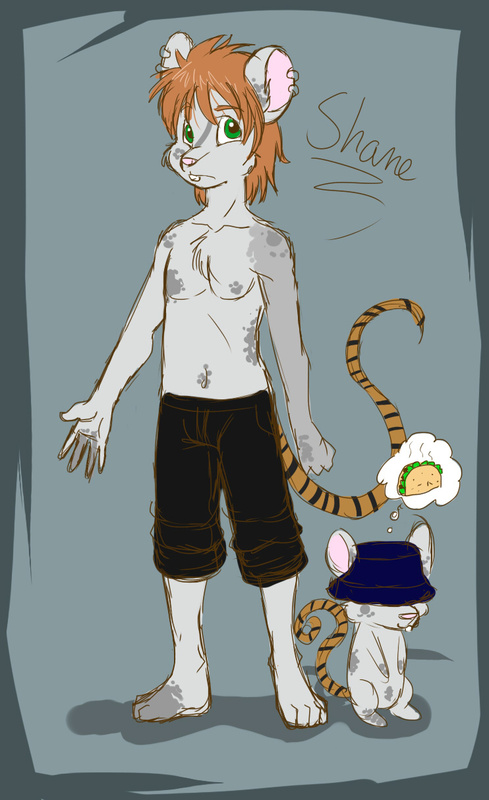 this is Shane, he is a rat! with lots of splotches and such, becuase he's a dirty rat. he is able to become a smaller feral version of himself. He always wears that hat, to hide himself from his girlfriend, when he steals food from her.